James McDonald reminisces about his days in Catholic elementary and high school. Upon graduation he attended the Art Institute in Chicago for two years and spent an additional year at Prairie View A&M University. “Then, I took a year off…which took twenty years of my life! I was a good kid, a straight A student, and then I abruptly turned left!”But James…has found the path again. He says it’s all about free-will and good choices. The last twenty years have been filled with hardships and jail time. James says, “I’ve been down for so long…this looks like up to me!”As James recounts, things actually started to look up when he was in jail. He began to attend church frequently just to get out of the confinement of his cell. It was during this time that James made a spiritual connection that changed his life and led him to Arizona and to a fresh start. James is grateful for the opportunity that has been given to him thanks to a scholarship from The Maricopa Community Colleges Foundation. He’s been in Arizona for three years and has made huge strides in his life…towards a future very different from his past. He lives across the street from Glendale Community College where he will graduate this May with an Associates of Arts degree. He works in the school library as part of the Federal Work Study Program. His days are centered around campus life and that’s just the way he likes it! “My family had counted me out, but they are so proud that I’ve gone back to school and I’m getting it together. 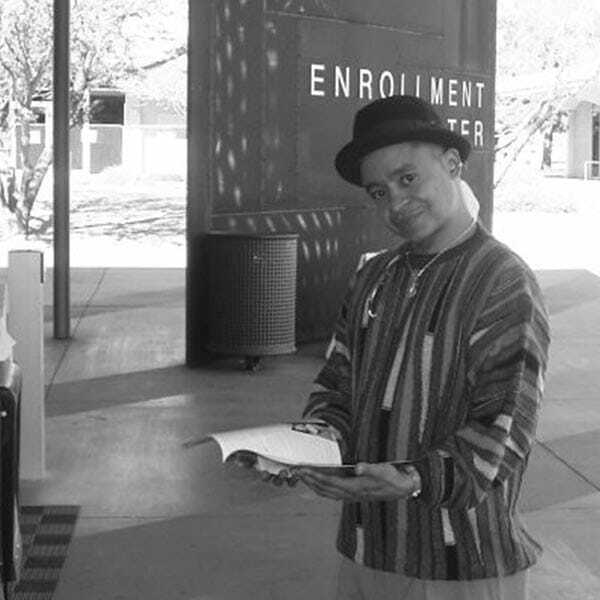 You are never too old to learn!”James plans to enroll at the University of Phoenix, where he hopes to earn a Masters Degree in Counseling. This deeply spiritual man is on a mission to attend Fuller Theological Seminary and dedicate himself to pastoral counseling. He has a story to tell that he believes can inspire and mobilize other people to change their lives as he has done through faith and perseverance.